Dr. Tragesser has been in private practice since 1990. He graduated from the National College of Chiropractic in 1989 and received the Meritorious Service Award for his participation in ongoing clinical research. Since graduating, Dr. Tragesser continues to attend numerous post-graduate courses with a concentration in whiplash injuries, clinical nutrition, diagnosis and treatment of orthopedic conditions, and sports related injuries. Dr. Tragesser served as Chairman of the post-graduate Chiropractic Orthopedic Program in Pittsburgh, sponsored by The National College of Chiropractic. Dr. Tragesser's practice philosophy is simple, "provide the exact same level of care and treatment to our patients as I give to my family." Dr. Tragesser employs a gentle, and very effective manual technique. 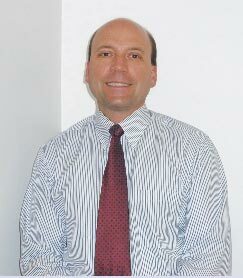 He is licensed in adjunctive procedures which allows for the use of therapies such a electrical muscle stimulation, ultrasound and mechanical traction just to name a few. There are independent licensed massage therapists at both office locations. Dr. Tragesser believes when treating musculoskeletal conditions, if manual chiropractic techniques are combined with adjunctive physiotherapeutic procedures, your body has the greatest opportunity to heal in a timely fashion. Nutrition is also a centerpiece of optimal health, and Dr. Tragesser will recommend and implement nutritional supplements when appropriate. After an initial consultation and thorough examination, most patients receive treatment on their very first visit. If diagnostic studies are required, they will be ordered by Dr. Tragesser and recommendations will be made accordingly. If a multi-disciplinary approach is called for, Dr. Tragesser works closely with all specialists in the medical community, and referrals will be made when needed. As mentioned previously, you can expect to receive treatment on your very first office visit, so the healing process can begin immediately. You can also expect: No Long Term Treatment Plan; and No Large Up Front Request for Pre-Payment. If you're looking for a thorough evaluation of your condition, followed by an approach to treatment that is honest, sensible, effective and individualized, call our office today. We look forward to serving you to the best of our ability, and adding you to our ever growing extended family. Contact us through our website, or for the most immediate response call the Munhall office at 412-461-1442, or Murrysville at 724-733-1830.